Four months after launching, Eat Fresco — a Tampa startup that produces and sells premium prepared meals— has landed its first major supermarket account. Beginning June 22, Eat Fresco’s product line of seven vacuum-sealed meals will be available in six Winn-Dixie stores — five in the chain’s corporate backyard of Jacksonville, and one on Swann Avenue in South Tampa. 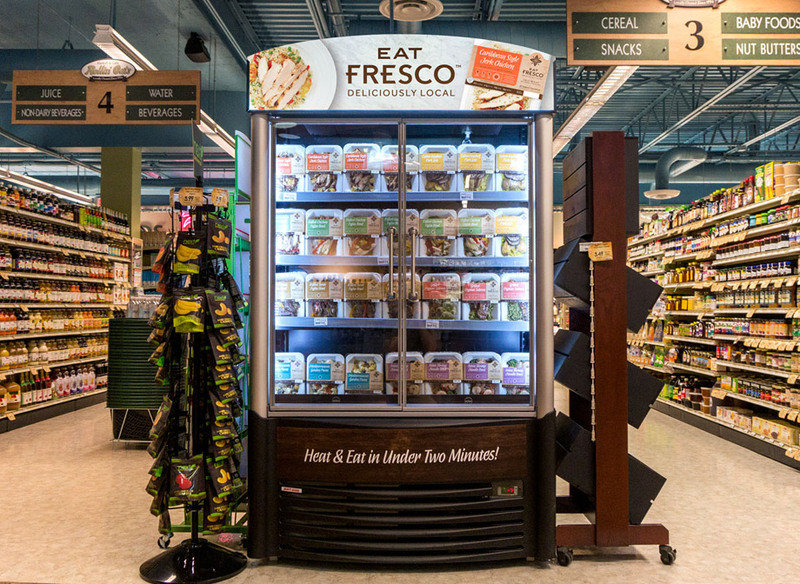 As a certified vendor, Eat Fresco sells its product wholesale to Winn-Dixie. Further, the supermarket has provided free endcap space for the brand’s large, brightly lit coolers. Eat Fresco currently has product placement in six health-oriented food retailers in Tampa Bay. According to Povolny, a Winn-Dixie exec saw his wares as part of a display at Sealed Air in Atlanta, which does packaging for Eat Fresco. Two months ago, the supermarket reached out to him. Given that Eat Fresco makes its product in a compact incubator space called Kitchen 24 in Oldsmar, Povolny committed to six stores, less than half what the grocer hoped for. He expects to deliver 1,200 microwavable meals a week, delivering product twice a week in the refrigerated company van. Povolny said he’s currently negotiating a lease for a 13,000-square-foot space in the Sabal Park area of Tampa, with hopes of moving his operations there by the end of this year. Winn-Dixie chose the six units that will showcase Eat Fresco largely because they are in high-income areas. Povolny sees the rollout as just a start. Povolny, who started in the food industry as an analyst for Coca-Cola, developed a sophisticated business plan before launching Eat Fresco. He said his projections are very much on track. And that includes dollars. “We should be generating positive cash flow by the end of July,” he said. Article reproduced with permission of Tampa Bay Business Journal.